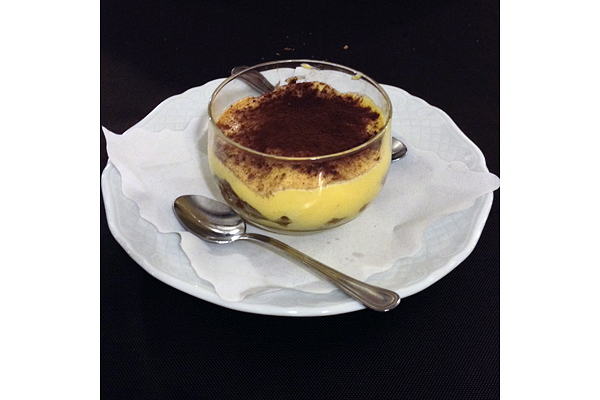 For the hands-down best gluten-free meal and most accommodating taverna in Rome, do not miss Taverna Barberini. It’s open late, so take the scenic route and enjoy the gorgeous Via del Corso and the always busy Trevi Fountain as you make your way toward Piazza Barberini. 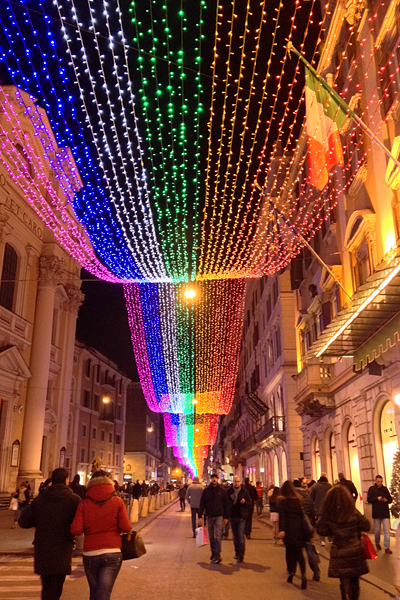 If you’re lucky, Via del Corso will be strewn with twinkling lights, making your walk just a little more festive. Once you make your way down the stairs to the subterranean taverna and ask, in broken Italian, for the “menù per celiaci,” you will be welcomed. In English, the waiter will proudly tell you that everything on the regular menu can be made gluten-free, “like magic.” He will be right, and you will take his every recommendation, beginning with the GF beer. Several varieties are available, but I liked the clean, crisp [German] Schnitzer Bräu best. 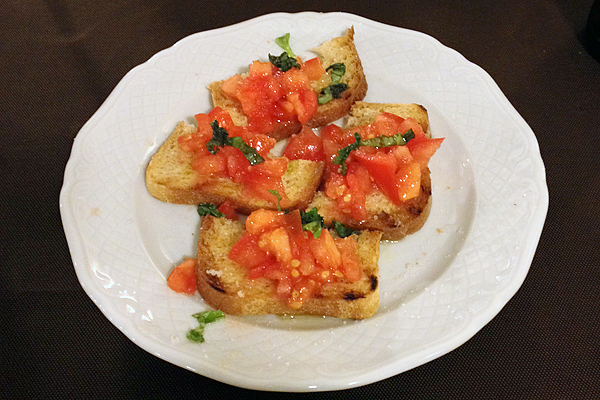 For gluten-free eaters, ordering any bready dish in a restaurant, even one as simple as bruschetta, is exciting. This was no exception, and it’s worth noting that if you happen to be dining with a non-GF companion, two separate plates of bruschetta will be delivered to your table. Both will be nicely toasted and topped with deliciously salted and oiled tomatoes, a tasty complement to your beer. 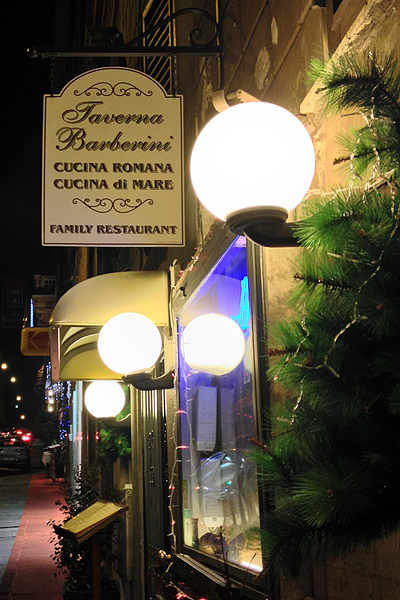 For your main course, ignore the taverna’s full menu of seafood and meats and zero in on the pasta. Taverna Barberini’s take on tonnarelli cacio e pepe, a simple Roman pasta with cheese and pepper, is absolutely exquisite. The slightly sharp sheep’s milk cheese is so perfectly rich and creamy and the gluten-free tonnarelli so tender, you’ll insist that your dining companion have a taste. And maybe feel a little bad that he didn’t order exactly the same dish. You may think that after all of that rich pasta, you couldn’t possibly eat another bite. When your friendly waiter announces that you must try the gluten-free tiramisu, though, all you can do is agree. The cocoa-dusted custard and spongey cake is just the right size to share and just the right way to finish your meal. Have a spirited debate about which part of the meal was the best (it was the pasta, of course!) 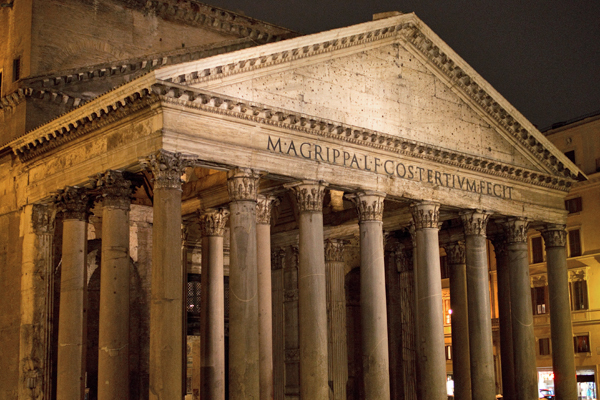 as you wander back through Rome’s sleepy nighttime streets. Where? 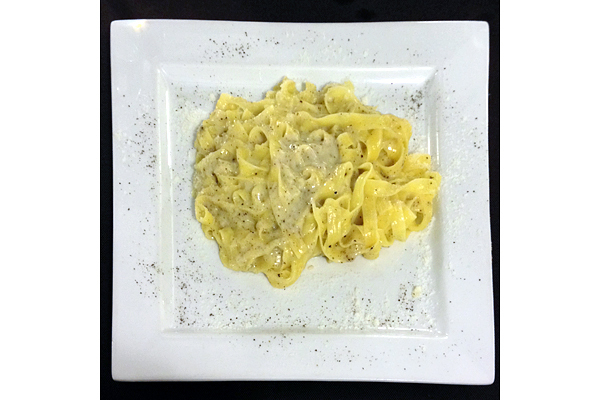 Taverna Barberini is located near Piazza Barberini in Rome: Via delle Quattro Fontane 160, Roma (+39-06-488-3619).